Omaha’s Amber Ruffin has so much to say and so much going on that I couldn’t fit it all into one story. That’s why in addition to the recent Omaha Star cover story I did on her, I wrote a Reader feature on this writer-actress best known for “Late Night With Seth Meyers.” While she came to national attention with her work on that show, she’s no overnight sensation. She put many years into an improvisational comedy career before network TV gave her a mass media platform for her talents. Her performing start goes clear back to Omaha Benson High School and local theaters. But first, here are some thoughts about Amber and her being part of a long legacy of African-Americans with Nebraska ties making their marks in the entertainment industry. For the second year in a row Ruffin came home to headline the Inclusive Communities FriendsGiving event. There’s little doubt we will be hearing and seeing a lot more from this smart, engaging writer-performer who often skewers wrongdoers and haters with her subversive, silly, serious takes. Her humor, especially when it deals with race and other social justice issues, resonates strongly because it’s grounded in reality and truth, I wouldn’t be surprised if she proves herself a fine dramatic actress as well. She’s part of an impressive contingent of black creatives from here to make their mark variously in music, theater, film, television, literature and media. 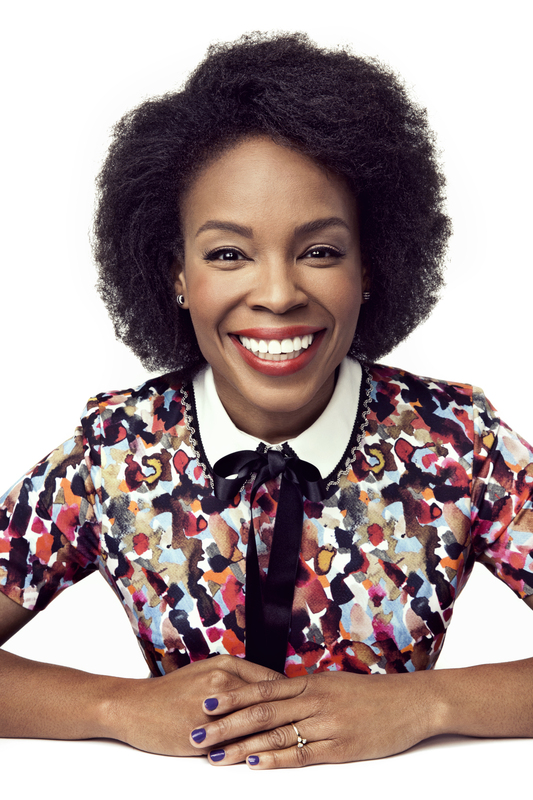 Since joining NBC’s “Late Night with Seth Meyers” in 2014 as a writer-performer, Omaha native Amber Ruffin has made a name for herself. The gig made her the first black female writer in U.S. late-night network television. Her strong Afro-centric takes on social issues are part of a disarming package. She can be sweet, silly, manic comedian or edgy commentator and provocateur. In the recurring “Late Night” segments “Amber Says What” and “Amber’s One-Minute of Fury,” she skewers newsmakers and outs injustice. Her subversive bits play like funny truth sessions by a righteous sister reporting from the trenches of Being Black in America. This fresh TV face and voice is steeped in a long, deep improv background that started here and took her to comedy capitals. Last month she came home to display her authentic, unvarnished self during an Inclusive Communities event at Slowdown. The audience got a taste of her formidable improv skills. Replicating improv on TV is elusive. Playing off a live audience is crucial. Working in a corporate culture is still an adjustment. She’s learned to work within network TV boundaries. Going out on a limb is a Ruffin trait. Her retired military parents are from the South. They met at Offutt Air Force Base. They later ran their own daycare business. Amber’s the youngest of their five children. Her sisters are also published writers. Growing up, Ruffin used humor as escape. That experience still informs her. Musically and dramatically inclined (she plays piano and sings), she developed an early passion for theater. The movie The Wiz made a big impression for more than the music. She contributed to the book of a new stage version of The Wiz that premiered in June at The Muny amphitheater in St. Louis. She hopes a national tour comes here on what could be a Broadway-bound path. The stage bug bit while playing Princess Winnifred in an Omaha Benson High production of Once Upon a Mattress. The Benson grad honed her craft via Stages of Omaha at the Millennium Theatre. She did improv at the Shelterbelt and Blue Barn. Encouraged to try it in Chi-Town, she caught on with Boom Chicago – working with Jordan Peele, Matt Jones and Jessica Lowe – and then Second City. In between, she did a stint with Boom’s company in Amsterdam, the Netherlands. Within days of an unsuccessful “SNL” audition, she got hired by “SNL” and Boom alum Seth Meyers. She usually has a week to hone her “Late Night” routines. She believes she provides a good change-up. She doesn’t make a big deal about having been the first black female writer in the late-night lane. Her go-to topic, racism. is informed by her travels. “The racism in Omaha is different than anywhere else. We don’t have a huge history of lynchings, scary slavery and Confederate monuments, and so we feel we are above racism, which is what puts us so far beneath it. No one’s really angry because you’re a black woman. People don’t think of you as much as a threat. They just think you are kind of gross. “Omaha’s pretty bad. It’s way less in Chicago. In Amsterdam, way less, but still there – just a different kind. In L.A., there’s less palpable racism. It’s all institutionalized instead of in your face. In New York, people say something the tiniest bit racist and everyone knows it and sees it. It has gone from me being gross to racism itself being the gross thing, which is a relief. Coming of age here, she craved diversity. Her diversity advocacy made her an apt choice as special guest for the Inclusive Communities FriendsGiving fundraiser. Meanwhile, she has an NBC development deal for a show, “Village Gazette,” on which she has co-writing and executive producer credits. It’s set in fictional Benson, Nebraska. The name is inspired by her real-life alma mater, Benson High, and the neighborhood that school is in. Follow Amber on Facebook and Twitter. For the second year in a row Ruffin has come home to headline the Inclusive Communities FriendsGiving event (this year’s iteration is today from Noon to 2 p.m. at Slowdown). NBC’s “Late Night with Seth Meyers” gives more than lip service to diversity thanks to Omaha native Amber Ruffin, a writer-performer on the New York-based show. She’s a singular presence for her strong Afro-centric takes on social issues. She became the first black female writer in U.S. late night network television when she joined the staff in 2014. It marked her national debut. But she’s no newcomer. She comes from a deep improv background that started here and took her to comedy capitals. In the recurring “Late Night” segments “Amber Says What” and “Amber’s One-Minute of Fury” she calls out newsmakers for everything from their stupid attire to their ugly rhetoric to their heinous acts. Her subversive bits play like funny truth sessions by a righteous sister reporting from the trenches of Being Black in America. The writer-actress headlines the Sunday, November 25 Inclusive Communities (IC) FriendsGiving at Slowdown. It seems this dynamo hasn’t fallen far from the tree. “You think I’m a happy person, whoo-whee, my parents are really happy,” said Amber, whose mother was voted Class Clown at her high school in Savannah, Georgia. As a kid, Amber used humor to deflect the hurtful things classmates said about her then-homely looks. Nobody thinks the vivacious Ruffin is homely anymore. Her folks, Theresa and James Ruffin, are both from the South, They met at Offutt Air Fore Base while serving in the military. They later ran their own business, T and J Daycare Centers. Amber’s the youngest of their five children. She’ll be with family over the holiday when she comes home for the IC event. It’s her second year in a row doing it. 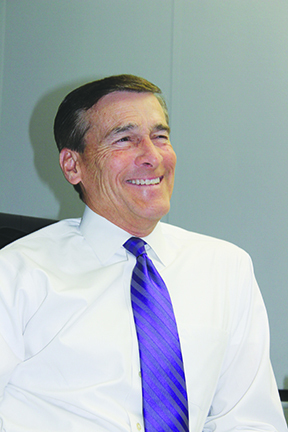 IC Executive Director Maggie Wood said Ruffin’s humor is appreciated by the organization. Instead of a stand-up set or a speech, Ruffin will engage in conversation with the IC team on stage in response to some loosely scripted questions. “Our donors, volunteers and supporters all know we need to face this work head on. That’s exactly what Amber does in her commentary. We’re so excited to have her back,” Wood said. Growing up, Ruffin acutely felt Omaha’s lack of diversity. Though Amber didn’t have any immediate show business role models, she gravitated to performing. She played piano at Omaha Trinity Hope Foursquare Church. She also developed an early love of theater. “I just love musicals,” she said. She got the bug playing Princess Winnifred in a Benson High production of Once Upon a Mattress. Her sisters are also published writers. The movie The Wiz made a big impression on Amber. She’s contributed to the book of a new stage version of The Wiz that premiered in June at the 11,000-seat Muny amphitheater in St. Louis. “I rewrote the words with the original writer (William F. Brown) who is 91 in April. I have written a few musicals and my love of The Wiz is no secret. We’re going to take it on tour and see how close to Broadway we can get. Writing musicals has become a new niche. Performing in a musical may be another matter. She honed her craft via Stages of Omaha at the Millennium Theatre. She did improv at the Shelterbelt and Blue Barn. Encouraged to try it in Chi-Town, she caught on with Boom Chicago – where she worked with Jordan Peele, Matt Jones and Jessica Lowe – and then Second City. In between, she did a stint with Boom’s company in Amsterdam, The Netherlands. Her parents encouraged her through the tough times. Ironically, she met her Dutch husband, Jan, in America. The couple struggled in L.A. for a period. She feels it only made them stronger. An unsuccessful “SNL” audition was soon followed by “SNL” and Boom alum Seth Meyers hiring her. As brutally honest as Amber is on “Late Night,” she must deal with network censors, which is why she feels she was “rowdier and took more chances” doing improv. On her way up, she met one of her biggest influences, Whoopi Goldberg. “She’s great,” Ruffin said. Grounded, too. “Her on-screen is her off-screen, just with a platform,” said Haecke. Her celebrity may grow should a new TV show she’s trying to get off the ground escapes the development hell that befell her previous attempts as a producer. By now, she’s mostly over having cracked the glass ceiling in late night, though she feels she did strike a blow for inclusion. 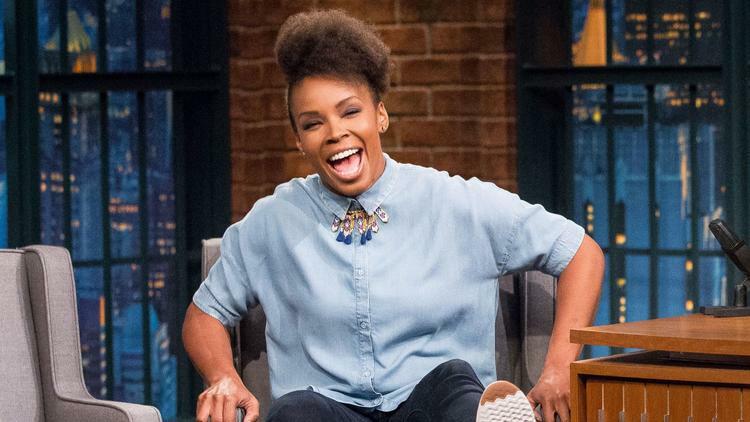 Tickets to FriendsGiving with Amber Ruffin are $25 and include one drink and heavy hors d’oeuvres..The event is from Noon to 2 p.m.
Visit http://www.inclusive-communities.org for more details and to purchase tickets.